Upon his release in 1784 he moved to Chicago. He lived here until 1800 when he sold his property which consisted of a house and seven out buildings to Jean Lalime, an agent for De Sable’s old employer William Burnett. He left Chicago and moved across the Mississippi River to Spanish Louisiana where he died on Aug. 28, 1818, at St. Charles, Missouri Territory. He was not the first, or the only trader in Chicago at the time, but of the pre-1800 residents, he lived here the longest and was easily the most prosperous. 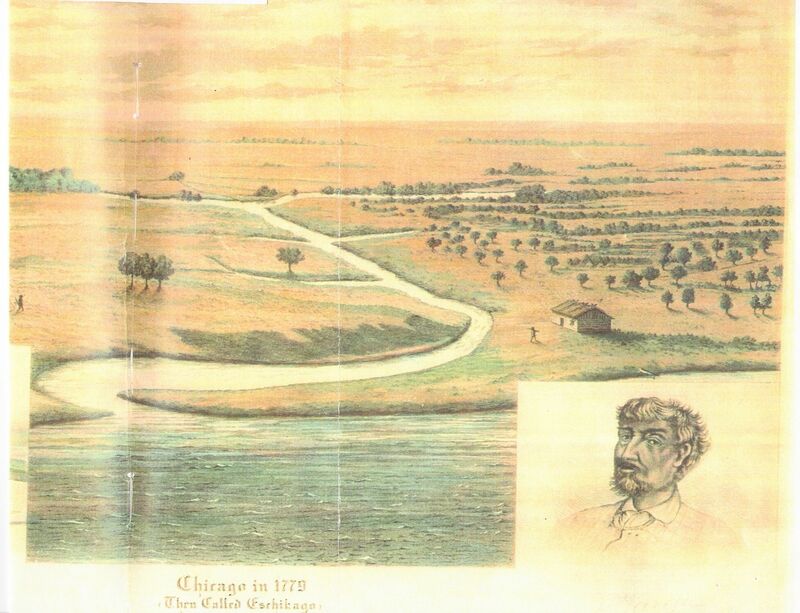 The fact that he left town is irrelevant to the larger truth that his trading post gathered a small community at the mouth of the Chicago River that remained and evolved into the city of Chicago.